Convert Multiple EML/EMLX files to MS Outlook, Windows Live Mail, Apple Mac Mail, Thunderbird, Eudora, SeaMonkey, and other email clients. Convert multiple EML files to PST Outlook file type. Supports conversion of EML to MSG, HTML, MBOX, PDF, and EMLX also. The tool supports EML file conversion of 20+ email clients like Windows Live Mail, Thunderbird, Apple Mac Mail, Microsoft Entourage, The Bat!, Eudora, SeaMonkey and etc. The Meta properties of the emails are moved like all attachments, To, Bcc, Cc, Date, Time, Sender & Receivers detail. Convert EML files through a File Selection and Folder Selection mode. The tool can import EML to Outlook PST 2019, 2016, 2013, 2010, and 2007. The software does a safe & secure conversion which keeps data in the original form. Take a complete preview of EML messages and check that the information is neither changed nor altered. *Demo Version preview complete EML items and allows to save only 30 items from each folder. "Some of my friends suggest me to try KDETools software because I was in a need to convert my Windows Live Mail files to MS Outlook. And the use of this tool, I have to admit that this one of the finest software I ever use." Vielen Dank KDETools für die Entwicklung von EML in PST-Konverter. Ich hatte Tausende von EML-Dateien von Windows Live Mail und suchte nach dem Tool zum Importieren von Windows Live Mail in Outlook 2016. Ich fand dieses Tool und es half mir, EML in Outlook 2016 zu importieren, indem es in das PST-Format konvertiert wurde. Also werde ich von meiner Seite die volle Bewertung abgeben. 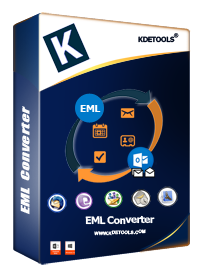 I wanted to convert Apple Mac Mail (EMLX) files to Windows Outlook (PST) and this tool did perfect conversion for me, Thank a lot KDETools. Je n'ai jamais été un expert en technologie, mais j'ai maintenant besoin de convertir les données Microsoft Entourage en MS Outlook. Dans Google, j'ai trouvé le convertisseur KDETools EML en PST et cet outil m'a aidé à exécuter cette tâche sans aucune compétence technique ni aide. Merci à l'équipe KDETools. With this Windows Live Mail to Outlook converter, users can batch convert EML to PST Outlook 2019, 2016, 2013, 2010, 2007 & etc. versions. This EML to Outlook transfer software can transfer EML to PST using file and folder selection option. The EML file converter has a special option to import EML file to Office 365 and Live Exchange server safely. This EML conversion software is a professional tool which can securely migrate EML and EMLX files to Office 365 and Live Exchange server by keeping your login details safe. This is the best software to convert multiple EML files to PST, MSG, MBOX, HTML, EMLX and PDF file formats. 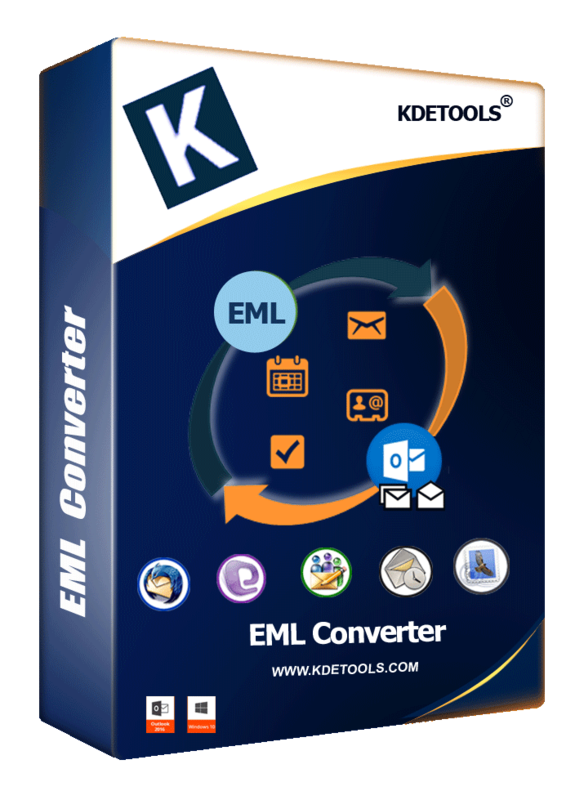 This EML to Outlook converter tool is designed to convert EML to PST without using the Outlook by maintaining proper email formatting. This Window live mail to Outlook Converter provides a duel EML/EMLX file selection, i.e. File Selection (You can browse multiple EML files for conversion) and Folder Selection (You can select a complete folder that contains EML/EMLX files). This is the best EML to Outlook conversion software to convert EML to PST and while converting EML and EMLX files into PST and other file formats. The software maintains Metadata (To, Cc, Bcc, Subject, Date, Time, and etc.) and Attachments (image, pdf, jpg, xlsx, docx, etc.) of the email messages. The Best EML to Outlook PST conversion tool supports all the versions of Windows as well as it supports all EML/EMLX file supported email clients like Windows Live Mail, MS Outlook Express, Apple Mac Mail, Windows Mail, Zarafa, Zoho Mail, Microsoft Entourage, Thunderbird, eM Client, DreamMail, The Bat!, Eudora, IceWarp, and SeaMonkey. If you save your data in the PST format, then you can split PST option to create an oversized PST file. And if you save EML data to MBOX, then you can save all your data in one MBOX as well as save data in a separate MBOX file. Before doing the final EML file conversion, the EML file converter gives a complete preview of the emails with all properties. This EML converter also helps in cross-checking the data and ensures complete conversion will be done at your desired location. *Free download enables you to check EML file contents and save initial 30 email messages. What are the limitations in a demo version of EML to PST Converter? Demo version of the software has only one restriction. You can export 30 EML items to another file format and if you want to remove the restriction then go with a full version. What should I do if I face any problem during or after the conversion of EML to PST Outlook? In which license of the EML file converter, do I get all the mentioned features? You will get all the features and additional benefits in Enterprise License of the software, but you can check the buy page and know which fits with your requirements. Is it required to download or try the demo version before buying a full version of the EML conversion software? Yes, you have to download and try the free demo version first because if you don't do this you will not be able to claim a refund if the software fails to perform an EML files conversion process. Can I export multiple EML messages to PST or another file format? Yes, you can export the bulk EML files to PST using any of the file selection methods like "File Selection" or "Folder Selection".